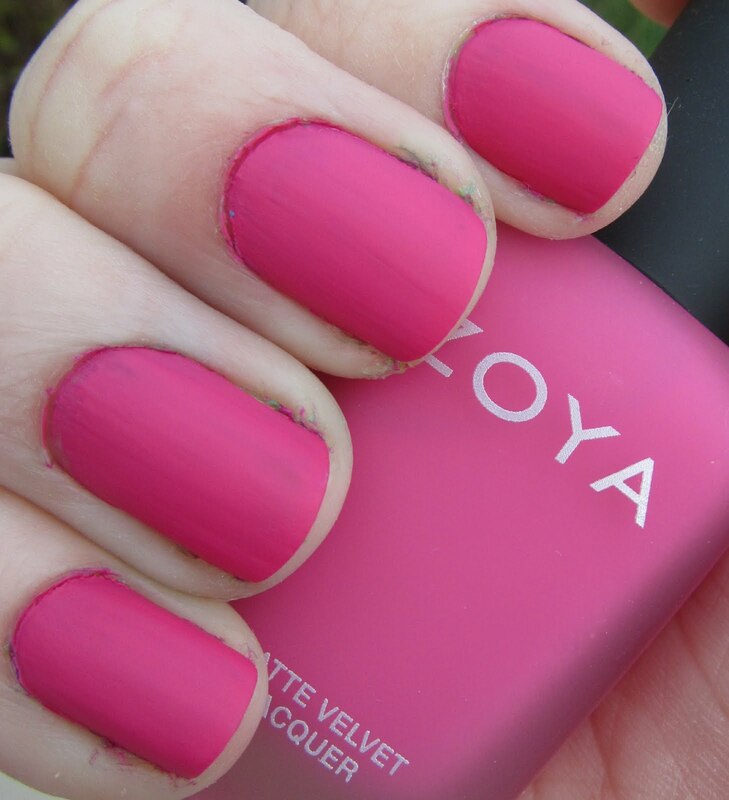 I was a little shocked and completely excited to receive each of Zoya's new collections for review last week - I am pretty much in love with every color in these collections. 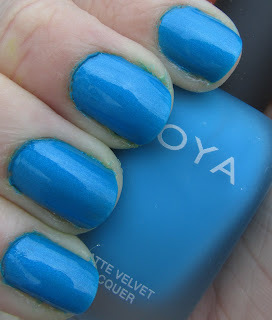 Actually, I had already bought a few on their BOGO deal, so prepare for a little Zoya giveaway coming up! ;) Now on to the first collection! I must be honest with you all, these are the first matte polishes I have ever worn. I own several but I have just not gotten around to using them. I loved the look - and feel - of these! 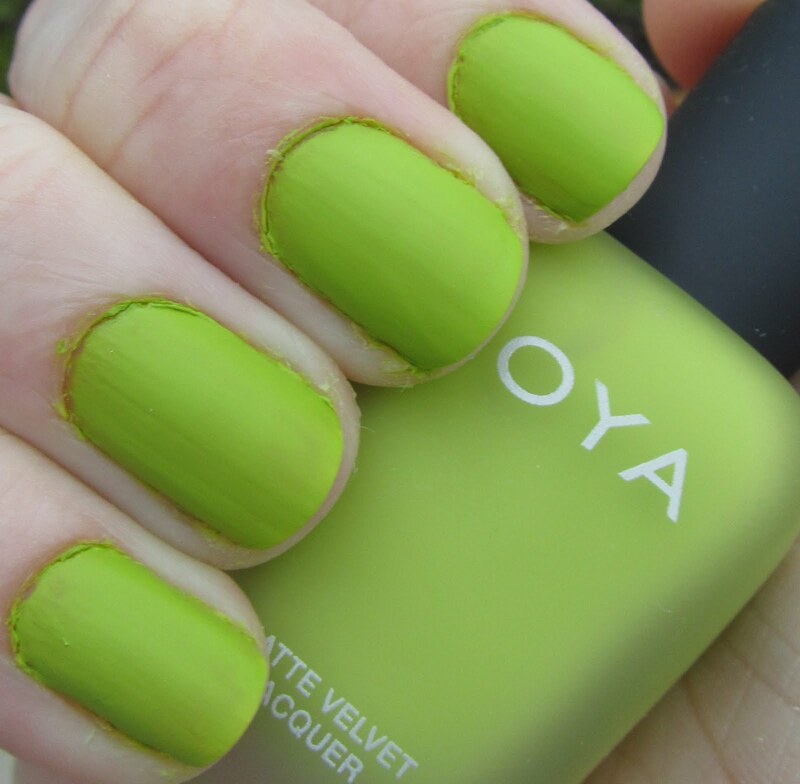 Overall, these polishes apply the way I have heard that all mattes do - with super fast dry time, which could cause a bit of streaking. Therefore it is important to get decent application the first couple of swipes since it will dry quick and start to get lumpy and streaky if you are still trying to touch up. All pictures are shown in natural lighting. I also included both the matte finish as well as a gloss finish (with topcoat added). A bright lime green. 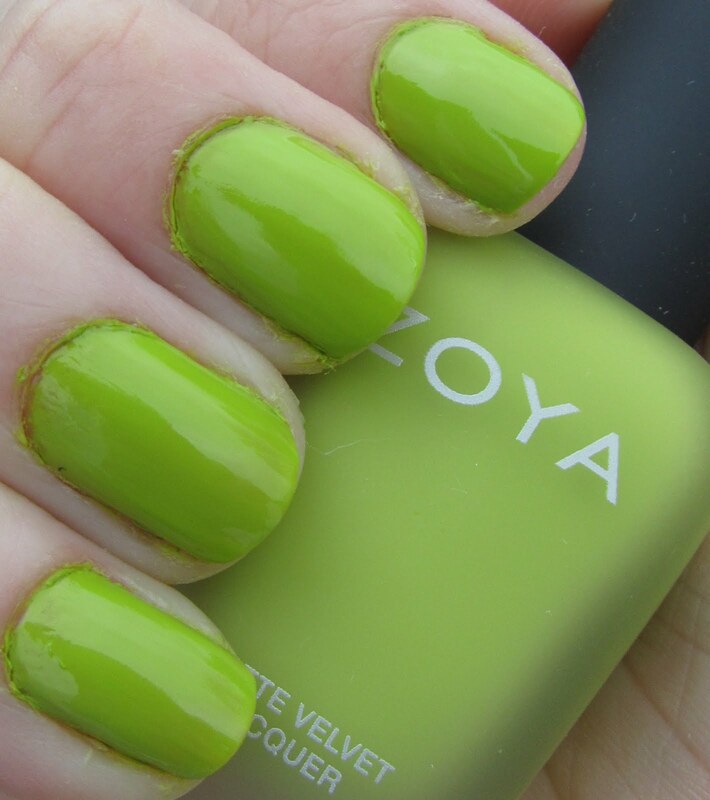 Three coats for full coverage, this is a fun and funky color for spring and summer. Wasn't sure how I felt about this color originally but I really loved it. 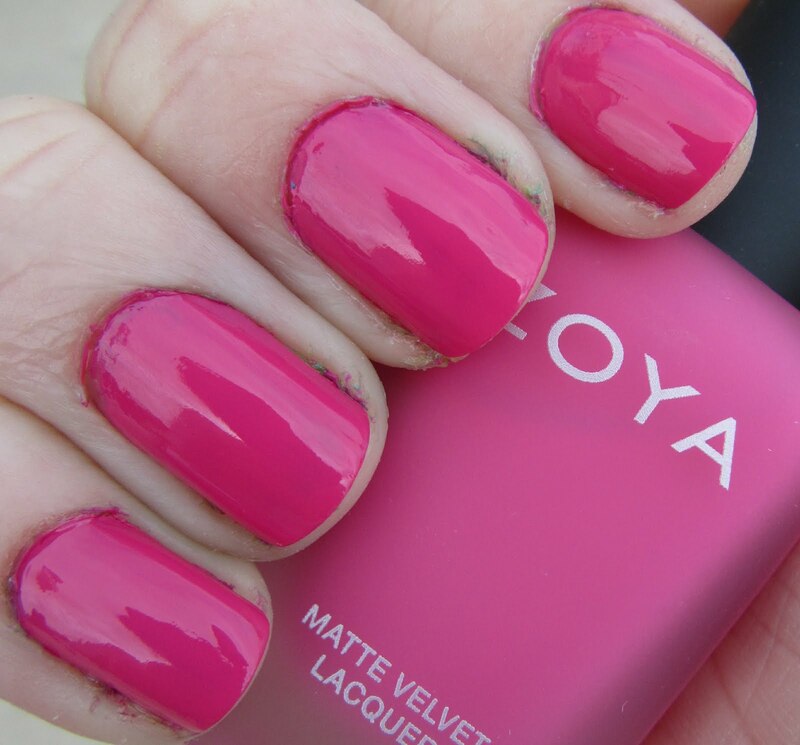 A bright medium pink that really pops. Again, three coats for full coverage. This was one of the ones I bought originally - but my sister has already claimed my extra as her own, she is in love with it! Bright robin's egg blue with a delicate microshimmer. Gorgeous color on this one! 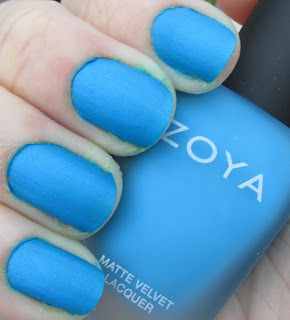 The shimmer really makes it pop when you add the topcoat. Also three coats. I really enjoyed this collection - and my first matte experience! It is a little difficult to get used to the difference of application, since these dry insanely fast and you need to be quick and smooth or else it is possible to get streaks. However once I got the hang of it I didn't have any problems. 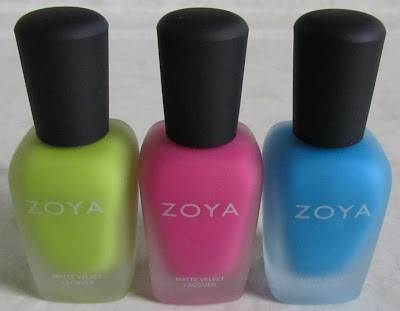 These polishes are super pigmented, and the bright colors are really fun. I also and a big fan of the frosted bottle, haha. Overall these are definitely full of win, both in matte as well as glossy if you prefer them that way! I prefer these all glossy!! Pretty summer colors!